Originally published in Advancing ASEAN in the Digital Age Book, 14 November 2017. Markets and industries have always evolved as businesses strived to create new conveniences and value for their customers while at the same time capturing increased revenues and profits. Historically for many industries, this has meant that quaint speciality shops have been slowly displaced larger and larger stores that offer greater variety and one-stop convenience and have come to define complete sectors. In a similar vein, today’s familiar sectors are being usurped by online ecosystems, digital consumer marketplaces that defy traditional sector boundaries. Banking and telecommunications, for example, have experienced a portentous evolution. The products and services of individual traders or subsectors, like foreign exchange and lending, were absorbed into bigger entities, forming today’s modern topography of industrial sectors. And now, with the rise of digital technology, the partitions between these modern sectors are crumbling. Borders are becoming less relevant, and one day economists might be looking back at “quaint” sectors such as banking, telecommunications, and utilities. Companies around the world are facing these challenges to traditional configurations, and in ASEAN, where so many have only recently awakened to the idea of transnational markets, understanding this evolution is both urgent and valuable. As a trade bloc, ASEAN makes up the world’s fifth largest economy, trailing only the United States, the European Union (EU), China, and Japan. In 2016, its economic output totaled about US$2.6 trillion, a production level that is expected to more than double by 2030. This dynamic region is being pushed by [many] strong factors. Internally, the consuming class within the bloc is not only getting bigger, but also getting richer. In 2013, ASEAN held about 83 million consuming households – those with enough income to make significant discretionary purchases – and by 2030 their number is expected to increase to more than 160 million. And the share of those households making more than US$20,000 annually is expected to double over the period. Just as importantly, this growing community of consumers is embracing the digital economy with gusto. By one estimate, about 3.8 million new users are coming online every month in ASEAN, making the bloc the world’s fastest growing Internet market. Between 2015 and 2025, e-commerce receipts in ASEAN are predicted to grow from about US$5.5 billion to almost US$100 billion, a 17-fold increase. Beyond the impetus offered by an expanding consumer class, ASEAN also has the economic muscle to propel accelerated growth. Just a few figures illustrate the region’s potential. For example, between 2012 and 2016, foreign direct investment totaled US$90 billion, and in 2015 trade flows with markets outside the bloc came to US$1.7 trillion. Also underscoring the region’s potential, manufacturing labor productivity rose on average by 7 percent a year between 2007 and 2012. Yet even with these strong fundamentals companies in ASEAN and indeed the trade bloc itself will find it difficult to reach their growth potential without a clear understanding of how new technologies are tearing down borders, real ones that once stood between markets and metaphorical ones between industries. The disappearance of barriers between national markets is perhaps the easier to grasp. ASEAN has a long history of working to reduce trade barriers among member countries, and global references such as the EU and multinational trade pacts serve as useful examples. In essence, in Southeast Asia the distinction between a “local” company and a global one is fading. Banking and telecommunications companies were the first to recognize the change and have worked hard to innovate around broader consumer needs. But critical industries, including real estate, retail, and consumer products, are finding it harder to let go of their local orientation and release the innovative energy needed to match the change in market realities. The challenge is only acerbated when the collapse of borders between sectors are considered. In Japan, for example, Rakuten Ichiba spans a range of offerings – retail, banking, travel, investment, communications, and others – that, as a whole, defy industry classification. Amazon in the United States and Tencent in China have also blurred industry lines, providing customers with a sultry mix of products and services. These and other digital natives, companies with no legacy business models predating the Internet era, reach for profits wherever the opportunity arises. The speeds at which the walls between sectors are crumbling vary, and some sectors – heavy industry, for example – may be immune, at least for the moment. But digital technologies have greatly reduced the costs of attacking the walls that separate many sectors. Advances of big data analytics, mobile interfaces, and artificial intelligence or machine learning, in particular, have prompted companies everywhere that are not digital natives to try to understand the benefits and risks presented by these changes. A recent McKinsey study showed that among 300 CEOs interviewed globally across 37 sectors about a third was focused on cross-sector opportunities and threats. Many were especially concerned about whether new tech-savvy competitors understood their customers’ needs better than they did. Banking is a well-known example of how this evolution has proceeded, as digital companies from outside the traditional sector have rushed to provide financial services ranging from ride sharing players providing payments services to telecommunications companies offering insurance. Perhaps more surprising are the blurred boundaries surrounding the utilities industry. 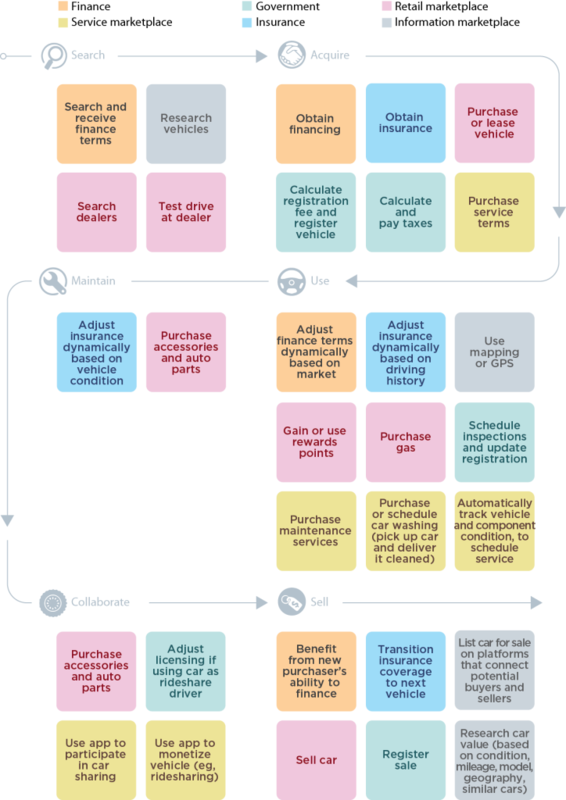 Tesla, an electric car maker, also offers energy solutions; Google offers smart thermostats and other connected home appliances; and US start-up Innovari provides integrated demand management services based on advanced analytics, to cite just a few encroachers. At the nexus of these changes in sector topography is the digital ecosystem. Companies that want to thrive in the new environment must understand these systems, which orbit around the singular idea of customer needs. These ecosystems coalesce around consumer market places that provide customers with a familiar environment across a range of products and services that they can access from whichever device they chose. 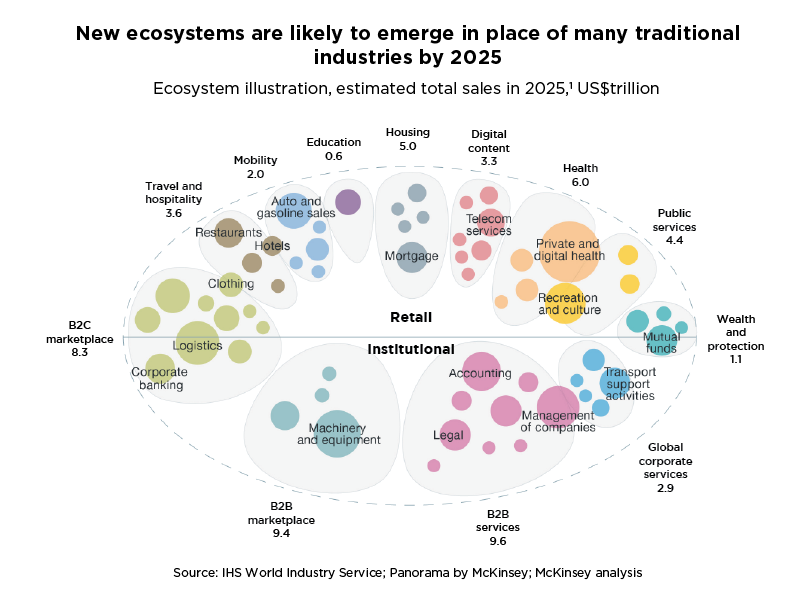 To succeed in these ecosystems, companies must adopt a mindset that reaches beyond their traditional sectors and explores opportunities wherever they might emerge. They must also build capabilities in big data analytics to develop insights into customer needs and behavior that stretch beyond a company’s current portfolio of products and services. In addition, they must redefine their approach to partnerships to form the wide range of alliances needed to deliver value in these complex systems. And finally – the very essence of these market changes – companies must develop close, emotional relations with their customers or risk being relegated to low-value suppliers to those that do. This requires a sharp understanding of elevated customer expectations. In products, for instance, customers want greater choice, control, reliability, and convenience, and in services they are looking for immediate access across channels and clear customization. The want brands that are socially responsible and prices that are affordable and predictable. To meet these demands, ASEAN companies will have to innovate constantly around product design and delivery. While there is no playbook that prescribes a guaranteed regimen leading to such innovation, the critical starting point must be customer insights. For talent, this means hiring and promoting people who are ready and able to create new value for customers, and for product development, eagerly embracing relevant opportunities as they are identified. The continued integration of ASEAN member-state economies offers a bountiful landscape for companies willing to reach for profits and growth across crumbling sector and geographic boundaries and to create modern businesses focused on consumer needs. But those that rigidly cling to traditional industry definitions will be blind to this rich potential. 1 Circle sizes show approximate revenue pool sizes. Additional ecosystems are expected to emerge in addition to the those depicted; not all industries or subcategories are show. McKinsey & Company is a global management consulting firm, deeply committed to helping institutions in the private, public and social sectors achieve lasting success. For 90 years, our primary objective has been to serve as our clients’ most trusted external advisor. With consultants in over 110 locations in over 60 countries, across industries and functions, we bring unparalleled expertise to clients anywhere in the world. We work closely with teams at all levels of an organization to shape winning strategies, mobilize for change, build capabilities and drive successful execution. 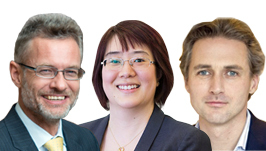 About the authors Oliver Tonby is the Managing Partner of McKinsey & Company in Southeast Asia. He oversees the firm’s offices in Malaysia, Indonesia, Vietnam, Thailand, the Philippines and Singapore, where he is based. Oliver has served clients across Europe, the United States and Asia and has worked across multiple industries, including energy and materials, industrials, private equity and technology. Diaan-Yi is the Managing partner of McKinsey & Company in Singapore and a leader in our Public Sector, Private Equity, and Capital Projects & Infrastructure Practices in Asia. She also helps direct work with sovereign wealth funds in the region and has worked extensively with government entities and government-linked companies in Asia, particularly on the design and implementation of large-scale programs to drive performance transformation and economic development. Ferry Grijpink is a Senior Partner in McKinsey & Company Singapore office and leads the Telecommunications, Media and Entertainment, and High Tech Practices in Southeast Asia. He focuses on advising telecommunication companies on strategy, marketing, and operations, including mobile operators that are launching adjacent businesses in areas such as mobile health and money services. He also co-leads McKinsey’s research on deploying and commercializing next-generation infrastructures such as fiber and mobile broadband.